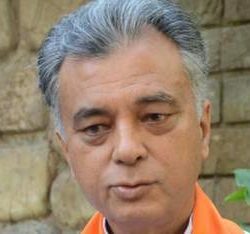 The Himachal Pradesh BJP has reportedly cleared the names of candidates for Kangra, Hamirpur and Shimla parliamentary, but still undecided for Mandi parliamentary. 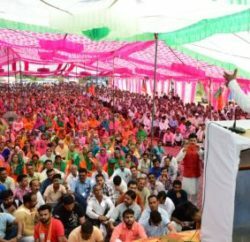 In the confidential State Election Committee meeting at Badsar in Hamirpur on Thursday evening, in which Balbir Punj, National Vice-President and party state in-charge, Prem Kumar Dhumal, Shanta Kumar, Satpal Singh Satti, Suresh Bhradwaj and Jai Ram Thakur were present, it’s learned that Committee has cleared the names of sitting MPs Anurag Thakur (Hamirpur), Virender Kashyap (Shimla) and Shanta Kumar (Kangra), but after reluctance of Jai Ram Thakur to contest election, SEC formed a panel of four candidates Ajay Rana, Brig Kushal Thakur (retd), Ram Swaroop Sharma and Gobind Thakur. 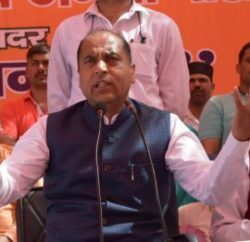 However, the candidature of Seraj legislature Jai Ram Thakur cannot be ruled out as he is considered as a best bet for party to do well in Mandi parliamentary. Name of Brig (retd) Kushal Thakur, a Kargil war hero, has also emerged in the meeting with the argument of helping to woo retired and serving soldiers in this segment. Thakur hails from Nagwain of Mandi district. The Central Election Committee will take final decision of candidates.